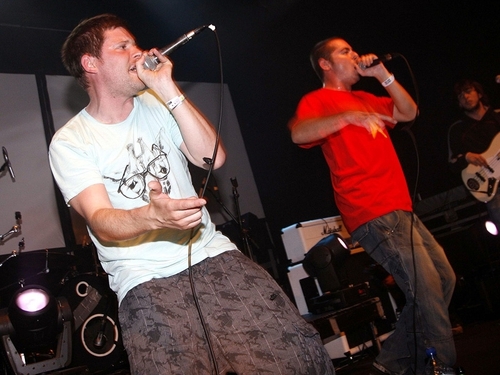 Hip-hop outfit The Infomatics have won the final of the RTÉ Two interactive music series 'The Raw Sessions'. As part of being voted the Sony Ericsson Raw Sessions Artist of the Year by the viewers of the show, The Infomatics receive a week's recording in Grouse Lodge Studios, Co Westmeath. The quintet contested the final of 'The Raw Sessions' with Dirty Epics and RSAG at the Button Factory in Dublin. Commenting, 'The Raw Sessions' presenter and producer Dez Ryan said: "'The Raw Sessions' live final was an amazing night - Dirty Epics, RSAG and The Infomatics were fantastic. "People kept asking me who I thought had taken it and I honestly couldn't say. I knew it was going to be close. It was so difficult to choose between three incredibly talented artists. "I couldn't have picked a winner, so I am glad 'The Raw Sessions' viewers made the decision at the end of the day." To find out more about The Infomatics, the other seven acts that appeared on the show and the songs they recorded, visit: www.therawsessions.ie. RTÉ is not responsible for the content of external websites.